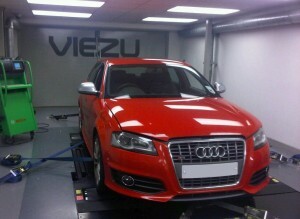 After extensive dyno time this week Viezu are very pleased to release our new Audi S3 Tuning services. The Audi S3 along with its stable mate the Audi TTs are great vehicles to tune, Audi tuning is very popular, but the S3 is probably one of the most popular Audi's to tune, responding very well to the correct alteration of spark advance and fuelling. Viezu Tuning and ECU Remapping of the Audi S3 can give very significant extra power and torque completely transforming the Audi S3 tuning, giving additional midrange power, throttle response, and acceleration, an impressive 45bhp is achievable over the standard 265bhp with no effect on fuel consumption or vehicle components. At Viezu we are constantly developing our ECU tuning services. All development work is carried out in Viezu’s state of the art environmentally controlled dyno cell, which houses Viezu’s 3000bhp rolling road and emission testing system. 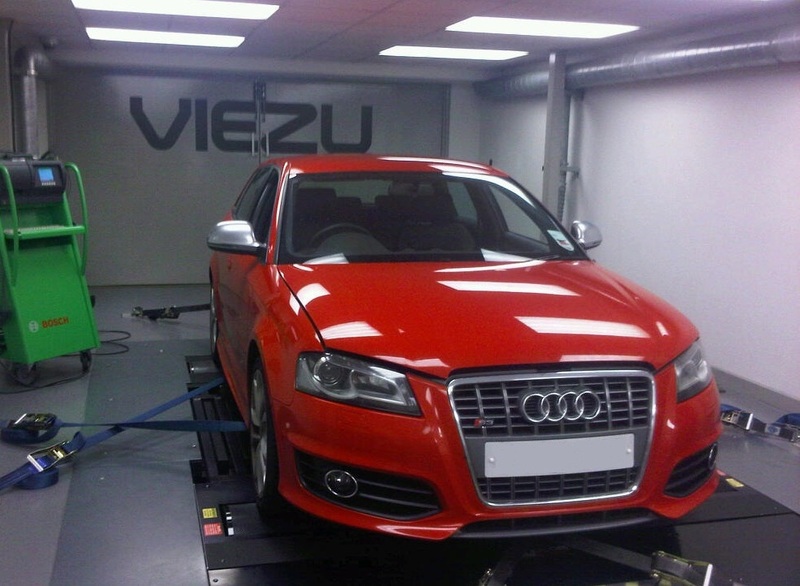 Viezu specialise in Vag tuning, VW tuning and performance parts as well as Audi tuning and performance parts. The Audi S3 and TTs tuning is very responsive, as is the Audi R8 V8, v10 tuning, Rs6 and Rs4 tuning. Audi Tuning is available for virtually all the Vag range of vehicles, including the Audi A4 and S4, Audi TT, Audi A3 and S3, Q5 and Q7, as well as the Audi S5, S6 and the complete range of VW vehicles. ECU Remapping and Chip tuning of Audi and VW can be carried out for just about all models from the range. The vag range of vehicles are very tuneable, with Audi diesel (Audi tdi tuning) giving some fantastic results, both for power, performance and economy tuning, whilst Audi Tuning for the petrol and Turbo models is primarily about performance tuning.